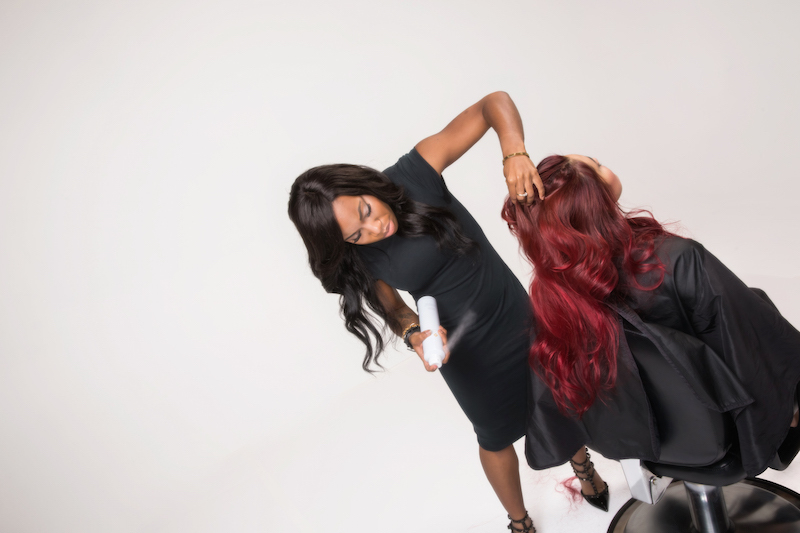 NYC-based hairstylist Sade Williams worked at one of the most prestigious salons in the industry, but knew she had the potential to build her own brand. 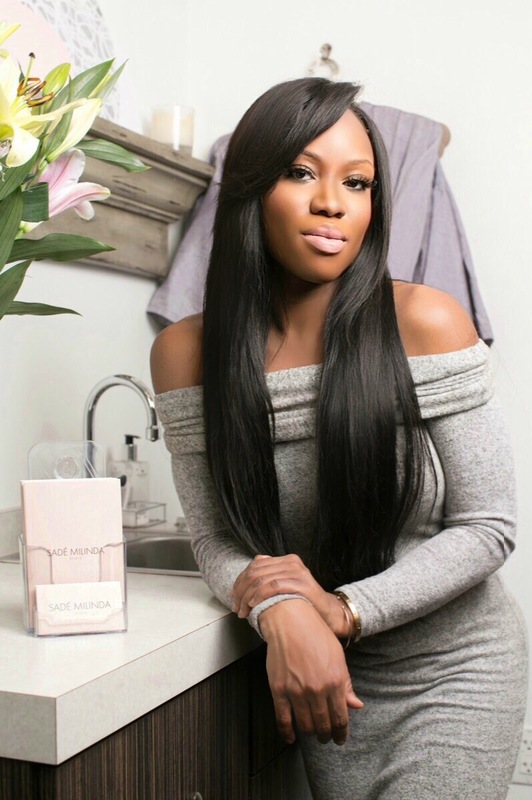 In this in depth Q&A, she shares why she left working at Ted Gibson’s salon, tips on how to find a mentor and create a portfolio, and ways to land more freelance work. She also explains how creating an apprenticeship/assistant program helped her bring that big-city level of service to her 150 square-foot Sola studio. 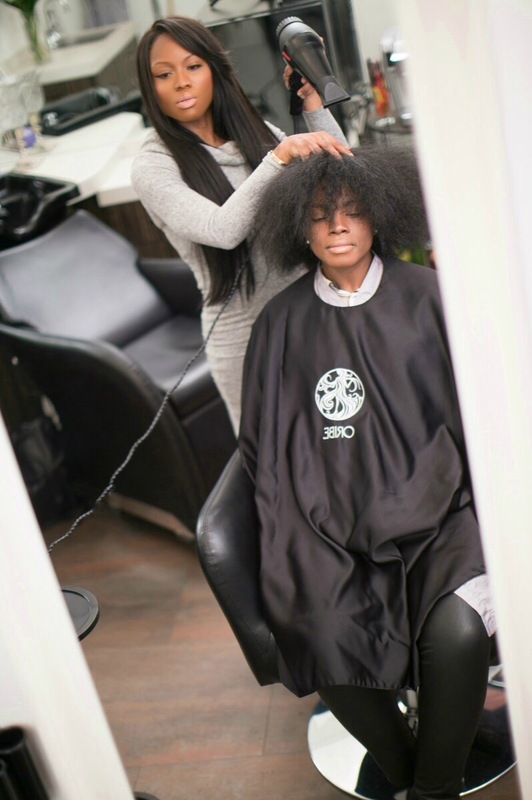 Was it hard to transition into the Sola studio life coming from Ted Gibson’s big and busy salon in NYC? Transitioning into Sola really wasn’t hard for me. Honestly, I was pretty sold on the idea of it because it all came down to me being the one in control. After I left working at Ted Gibson’s, I did get a feel for what it was like as a solo artist because I rented a chair for a couple of months after I left and before Sola. Was there anything you immediately missed once you left Ted Gibson’s? When you work in a high-end and big salon in NYC, you get used to the perks of working there and also having an assistant. You train your assistant to do things for you the way you want them done so you can focus on your clients. To have that is a bit of a luxury, and to not have that can be missed. Were you able to bring your client list with you or did you have to start completely over? If you want to be an entrepreneur and an independent stylist, you need a loyal clientele, and fortunately for me, my clients did stay loyal and followed me when I left. Do you still have or use an assistant even though you’re in a smaller space? Actually, I do, and I have created an assistant program in my salon. You are with me for a full year and I help prepare you for whatever it is you want to do. If you want to be in a high-end salon or do editorial work or own your very own studio, then I prep you for that. Having an assistant isn’t just to benefit me. The whole point of being someone’s assistant is the end result of something bigger. Even though I am in a studio, and I don’t have the room or ability to offer that assistant a permanent position, and that it’s my own personalized, individual brand, what I can do for them is prepare them for the next level. I’ve been in Sola for two years now and I’ve had two assistants. Both of them landed jobs in high-end salons that are very hard to get into. I helped them move onto their next level. One has moved onto doing more freelance work and the other one has been given the opportunity to grow a celebrity clientele. I offer the same perks that you would get as an assistant in a high-end salon. You’re not just shampooing hair all day. This is also a paid position in my salon. A lot of pros have big dreams of doing freelance work, but have no idea where to start. Any advice you can lend? You have to really know and understand the history and process behind the scenes because it is a lot different than working behind the chair all day. You also have to prove yourself and your skills, often. In the beginning, you’re going to be doing a lot of work for free. This is called testing. A lot of people referrer to it as TFP (testing for photos). If you’re a hairdresser, find a makeup artist or a photographer who is also doing TFP and work together. This will also allow you to create a portfolio. Create this portfolio to present to companies, brands, and agencies. Don’t assume that you can just go in there and get the job without having a good portfolio. Once you go this route of finding a mentor or a program, and when you start creating a portfolio, you’ll create this network of people that will open up freelance opportunities. You mention finding a mentorship program. What are some that you would recommend? I recommend the online classes called Masterclass, and recommend you take the classes that manufacturers offer. I know L’Oreal puts out some great classes, and Ted Gibson also has some available. 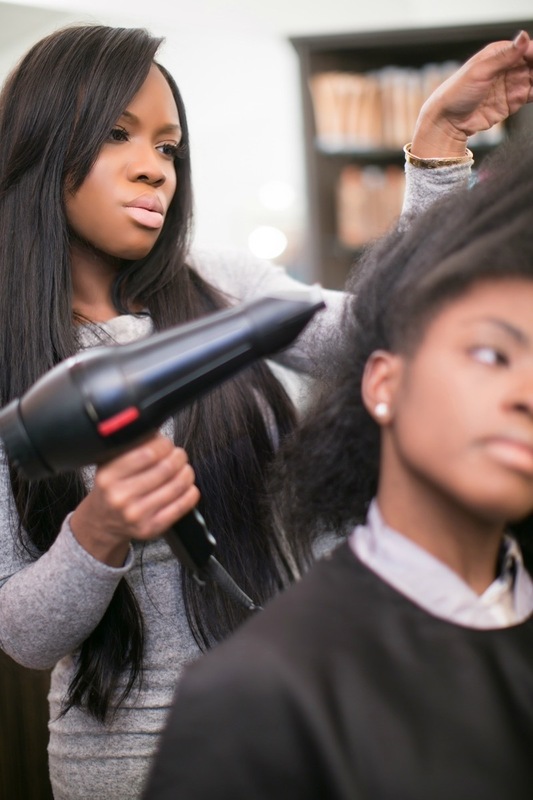 There are also a lot of individual stylists who offer small courses as well. Remember, you want to learn from someone who has lived it and from someone who has been doing what they are teaching. 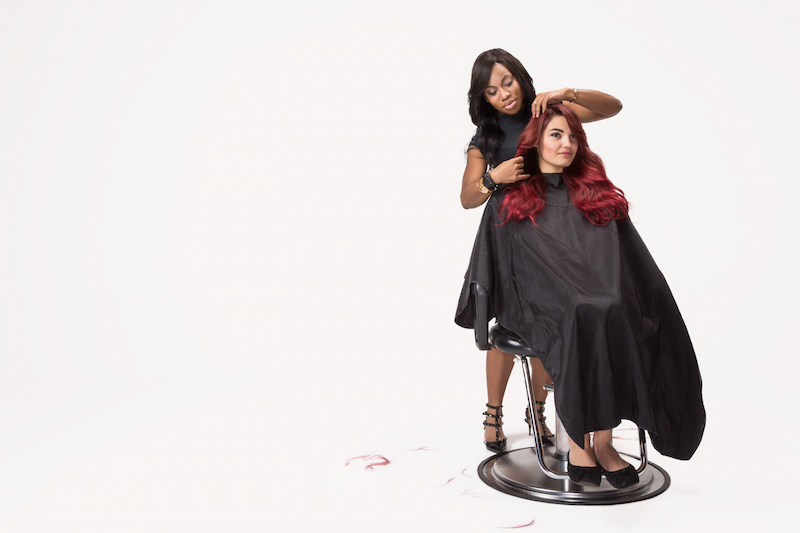 Take the classes that are not just cut and color. For instance, Oribe offer courses in creating runway looks. When you’re working on the set, you’re not creating practical hair and the everyday looks in the salon. Always keep this in mind. This is also important to remember when you’re creating your portfolio. Something else to keep in mind is this: when your clients come in, they are often bringing in a picture as to how they want their hair to look. This is an editorial image, one that was created on a set. When you know how to create those “on the set” looks, you can give your client that hair seen in the photo she walked in wanting. You’re able to make them feel and look like that girl in the magazine. This is the benefit of working behind the chair and working freelance and editorial—you can give clients that photo shoot look and a realistic one as well. What’s trending in LA may not be what’s trending in NYC so how are you staying in the know and versatile in your skills to keep your clients from across the US staying “on trend” in the state or coast they live in? I make sure I tune into what is hot in that city or on that coast. I look at the celebrities from that city or coast and their cut, color, and styles. I also learned a very important lesson from my own mentor—travel. Take a trip to gain inspiration and learn more about the hairstyles that are popular in that city or in that region. If you want to know what hairstyles are big in Europe, take a trip there. Go for three or four days. I did that when I wanted to know what hairstyles were big in Paris. Think outside the box. If you don’t live in NYC and you have a client or clients who want more city looks, then go visit some big cities and see what’s hot. Look to the first source and that is the people who are living there. Follow hairdressers on Instagram who live in these regions and study the looks they are creating. If I want to know how the women in LA are wearing their hair, then I’m going to follow some LA-based stylists on Instagram and also look at the products they are using to create those looks. Also, visit the places your clients are frequenting. If they are going to a certain club or a restaurant, visit it and see what the rest of the people going there look like. I’m not from Manhattan and I had to learn what the Manhattan woman looked like and what she liked when I first started working in the city. How active are you on social media? Do you feel like it is something you need to help grow your brand? My views on social media are a little bit different. I’m not that person who is going to post a million and one pictures of hair. What I’m going to do is post and tell a story about my client who has been coming to me for let’s say the past 7 years. I’m showing people what an experience is with me or with my client, and not just what I can do. I’m attracting people who are interested in building a relationship with me because that’s what I portray on social media. I do get clients from social, but a lot of my clients come from referrals. While we were shooting your Sola video interview, you mentioned how your Sola manager Julian is great. What qualities do you think make a good manager? A good leader, no matter if they are managing a Sola or team, always has a solution to a problem. A good leader also delivers. In the two years I’ve been at Sola, there has never been a time Julian hasn’t had a solution for a problem, and it has always been solved in a timely fashion. I always receive a positive outcome. 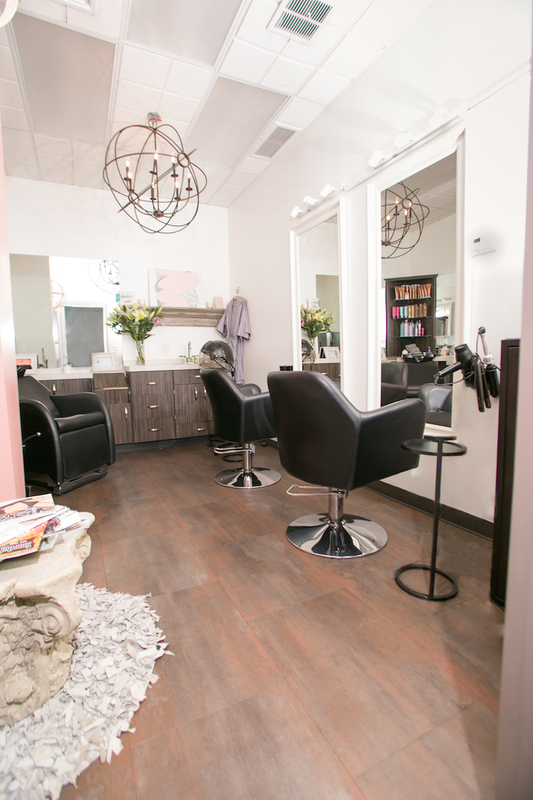 What’s the mindset one should quickly adopt when transitioning from a big salon to a studio? When you work in a studio, it all has to be personalized, with everything you do. My clients at Ted Gibson’s were used to certain perks. How do you take a 150 square-foot space and replicate what they have been used to seeing and receiving? I had to choose a few and bring those into my own studio like having an assistant and luxury finishes. For example, my studio is very relaxing. I have a reclining shampoo chair, the client is offered a robe to change into, she will even have her own music selected and personalized for her taste and liking. I’m located in Manhattan and these women have very busy lives and I don’t want them to hear about anyone else’s day or deal with anyone else. This is their time to unwind and do whatever it is they want to. Do you have any advice for that beauty pro who is on the fence about leaving a big salon and going independent? For me, I loved every moment I experienced working in a big salon. I really did. But when you’re at the top of your game at that salon, you feel like a boss, and you want to make your own rules. There were also days that I was required to be there all day, but I wasn’t booked out. I couldn’t do freelance work on those days or during those times. At the end of the day, I didn’t want to be held to a certain schedule. So if you’re at the top of your game in the salon you’re working for, and you want to experience more, then going independent is right there for you. 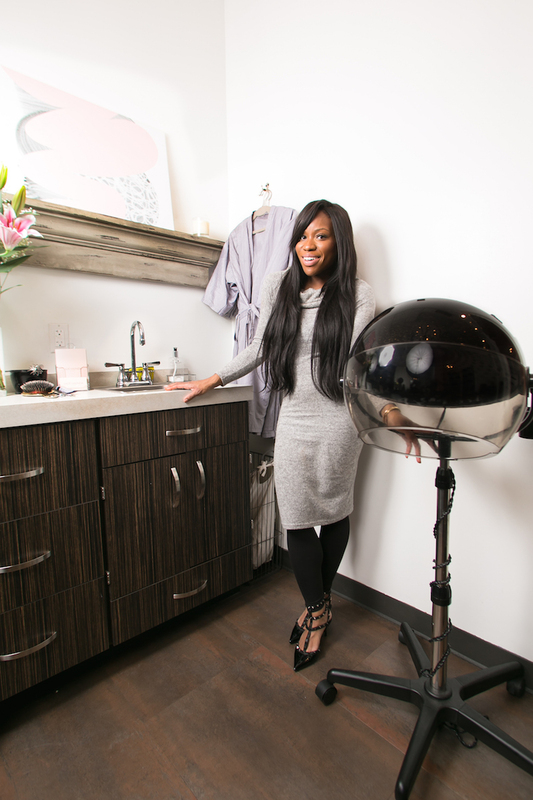 And I’ll tell you this—Sola makes it easy for you to be a salon owner.